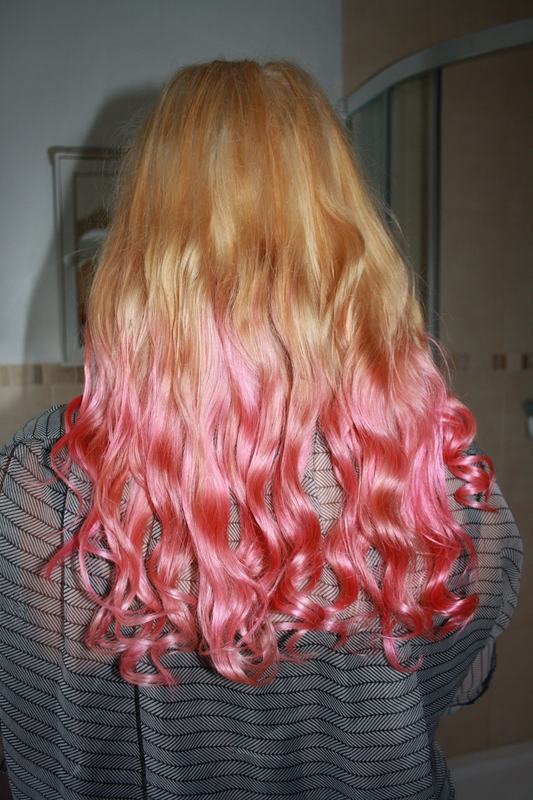 I found that the brush was really useful for applying the dye, and watch out for the smell of the bleach!! The mixing of each section was quick and easy as was the actual process. I liked having the choice myself of whereto apply the dye and with the lovely smell of the conditioner I wasn’t bothered by the smell of the products at all! This is the creepy face that I pulled when I put on the gloves! 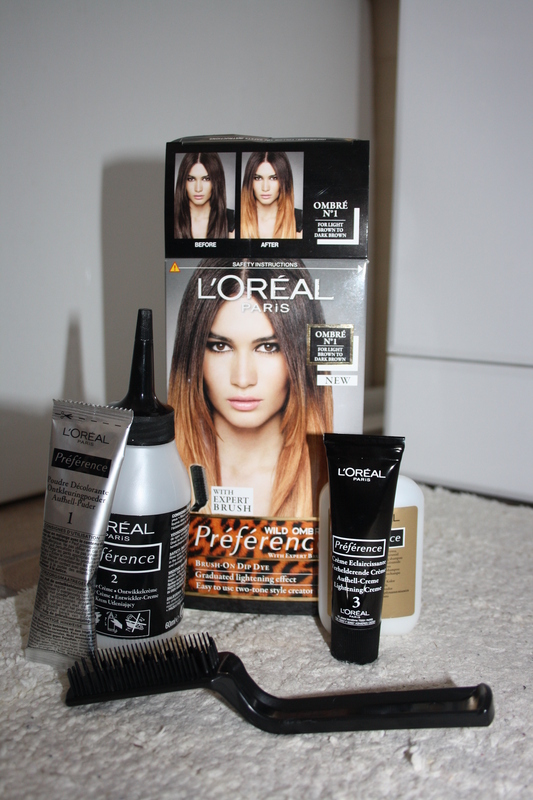 If you haven’t dyed your hair before, I would suggest that you read all of the information properly, as this kit in particular gave me some helpful tips and safety precautions. 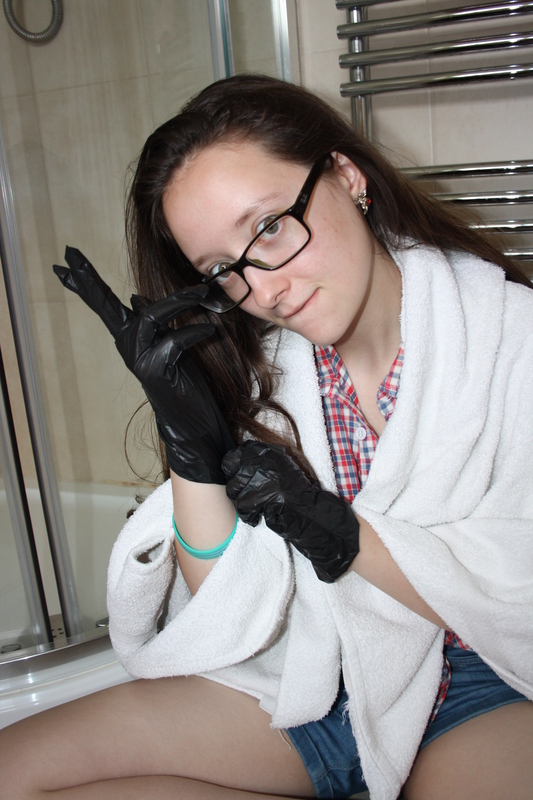 I also had my good friend who knows a lot about hair dyeing to help me! 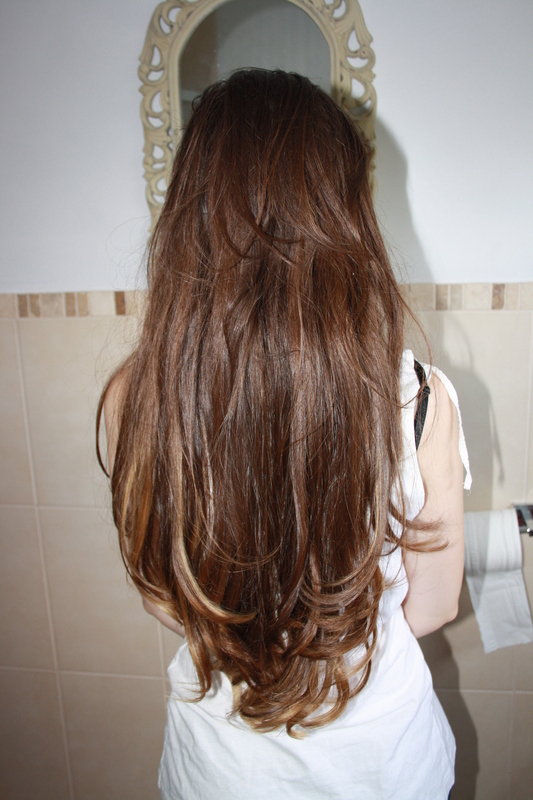 This was the back of my hair before I dyed it! 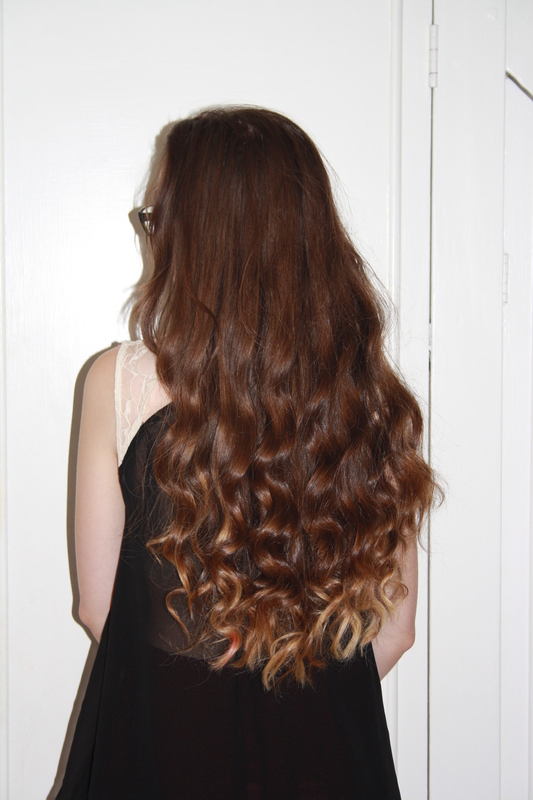 And this is the final result after I curled it!! 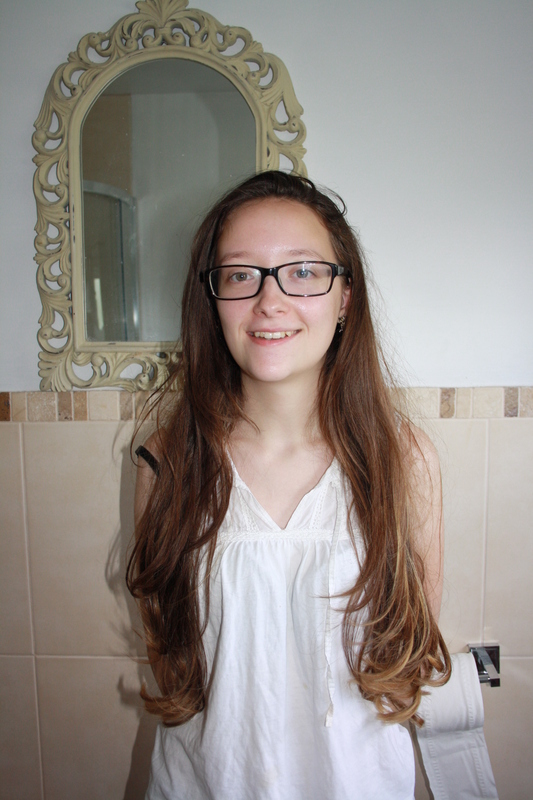 I was really pleased with the results and I would definitely recommend this product to others! But remember to wear old clothes when you’re doing it in case the dye touches any of your clothes!! 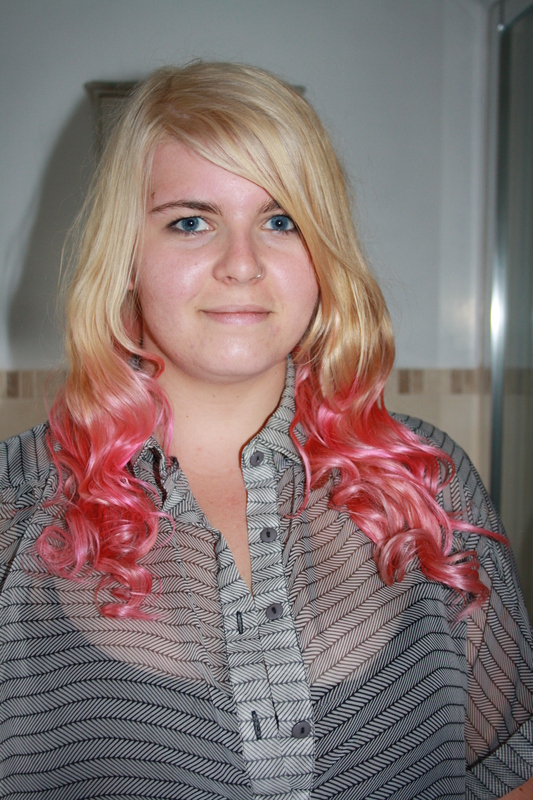 I also helped my friend Rosie to dye her hair pastel pink – doesn’t she look fab!! !